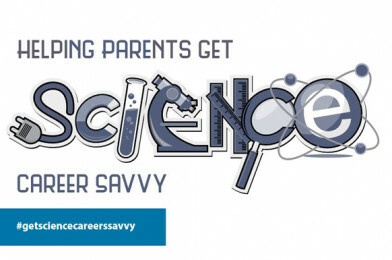 Cogent Skills: ‘Helping Parents Get Science Career Savvy’ Competition! Cogent Skills has launched a national competition to coincide with the annual Big Bang Fair, which is aimed at “Helping Parents Get Science Career Savvy”. This competition invites students to design a communications campaign (aimed at parents) to promote the range of careers in the science industries and the different routes into those careers. The campaign should include a design for a poster and postcard, as well as a campaign name and slogan. The school with the winning submission will see their campaign come to life, with copies of their poster and postcard professionally printed, as well as trophy to display. Design a communications campaign to promote the range of careers in the science industries and the different routes into those careers, aimed at parents. Your campaign should include a design for a poster and postcard. You should also come up with a campaign name and slogan. Different routes into science careers, e.g. – apprenticeships, graduate routes etc. Types of careers available – what could you do in science? Other important information, e.g. – salaries, career routes/progression (where can a science career take you? ), what science careers are available in your local area etc.